Oh joy, another Kate Atkinson book. 'Human Croquet' very much feels like a Kate Atkinson novel but it also seems very different from her other texts. Once again she considers the relationships between children and parents, missing mothers and hopeless fathers, endearing protagonists and wide-eyed little boys. Her genius really is how she captures the events that go on within rooms; simple, beautifully wrought conversations, moments of neglect, revelation, brutality. Her characters are ordinary, everyday people like you or I. Atkinson pulls together a cast of interesting, true to life characters, who jar and rub each other up the wrong way - a true family. 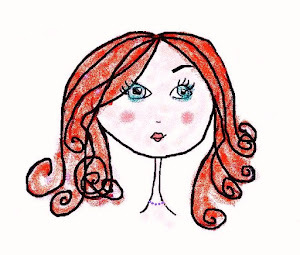 They speak our language and think our thoughts, whether in some ancient time or right up to the present day. This last point is very pertinent to this novel because the main character, Isobel Fairfax, is a time traveller. As such the novel is the true mother of her more recent and extremely successful novel, 'Life After Life'. Like Harper Lee's 'Go Catch a Watchman' is the certain originator of 'To Kill a Mockingbird', 'Human Croquet' is the precursor to 'Life After Life', with its toying with time travel, the turning back of clocks. There is even the 'falling snow' moment after one such journey back in time. So, if you enjoyed reading about Ursula Todd and her journeying through time, then you will certainly enjoy this story about Isobel as she tries to unravel the truth about her broken family and navigate the waters of teenage existence. 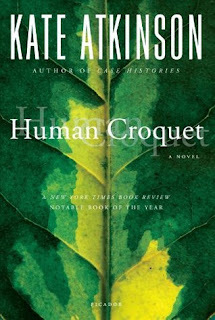 A treat lies in store for Atkinson fans - 'Human Croquet' - oh joy!